A few more exclusives for Star Wars Celebration Anaheim have been revealed. This time from the folks over at Think Geek. They will have several exclusives, as well as a few items that are not yet available to the general public, for sale at their booth (#910). Just seven days to go! 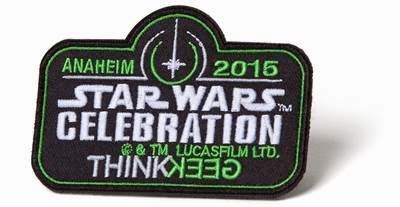 Star Wars Celebration Anaheim takes place April 16th-19th at the Anaheim Convention Center in Anaheim, California. Get your tickets here.